﻿ Adina Apartment Hotel Berlin Mitte Berlin. JIMAT di Agoda.com! Ada soalan mengenai Adina Apartment Hotel Berlin Mitte? Terletak di tengah-tengah Mitte, Adina Apartment Hotel Berlin Hauptbahnhof merupakan tempat yang sesuai untuk meneroka Berlin. Hanya 0.5 Km dari pusat bandar, lokasi strategik hotel memastikan tetamu boleh ke mana-mana sahaja dengan cepat dan mudah ke tempat-tempat tarikan. Hotel moden ini berada di sekitar kawasan tarikan bandar yang popular seperti Muzium Sejarah Alam, Charite, Muzium Sejarah Perubatan Berlin. Ambil kesempatan daripada pelbagai perkhidmatan dan kemudahan yang tiada tandingan di hotel Berlin ini. Wi-Fi percuma semua bilik, meja depan 24 jam, fasiliti tetamu kurang upaya, simpanan bagasi, Wi-Fi di tempat awam merupakan beberapa kemudahan yang membezakan Adina Apartment Hotel Berlin Hauptbahnhof daripada hotel-hotel lain di bandar. Adina Apartment Hotel Berlin Hauptbahnhof mengandungi 139 bilik yang dihias indah dan menawarkan televisyen skrin rata, bilik larangan merokok, penyaman udara, pemanas, panggilan kejut. Senarai lengkap kemudahan rekreasi boleh didapati di hotel, termasuk pusat kecergasan, sauna, kolam renang tertutup, rumah urut. Apapun alasan anda untuk melawat Berlin, Adina Apartment Hotel Berlin Hauptbahnhof adalah tempat yang sempurna untuk percutian yang menyeronokkan dan menarik. Children 0–3 years old will be charged EUR 10 per night when using baby cot/crib. Agoda didn’t publish the room facilities correctly. It stated Studio room comes with Washer. When I arrived, and checked into the hotel, the hotel reception clarified it doesn’t comes with washer. It provides laundry service instead. Staff was very accommodating, location is quite central although if you have large luggages its kind of a walk, there is a bus direct to TXL and some of the staff are very helpful (tall brown hair german guy, had a mustache was bogged down by waves of customers around 2pm but still helped to accommodate myself), the only thing was you can hear people walking upstairs, it could have just been me but in the morning I could hear them walking around. Maybe they were heftier people? Maybe Im too sensitive to sounds? I mean german engineering.. come on its one of the best there is. But still could hear them walking (stomping) around. So yea.. just this complaint and also if you're lugging around 30-40kg luggages, its a walk from the station. I unfortunately left a charger in my room, and they shipped it all the way to me because I needed it urgently. The staff is amazing and they're super friendly. Thanks to Alessandro and Mario who helped me! Overall highly recommended! The only shortcoming is that the complimentary wifi covers only the lobby area. This should be put into consideration if you depend on the internet to do your works on hand. The hotel location near the train station, i got room upgrade..everything is perfect. Very friendly and helpfull staff, easy check in and check out, room very clean and the bed very comfort, the next day after check out it was raining heavily and we all got very wet, when we came back to the hotel to pick our suitcase they offer a shower for free, very recomended hotel. Room : Well designed, fully equipped , comfortably functional and in good order Location: Near Main train station, and walking distance to most attraction Hotel Staff : Mr. Axel ( front desk) -extremely friendly, helpful and knowledgeable. The hotel is centrally location in heart of Berlin. The room is well furished. The one bedroom apartment includes all things in the kitchen and there is self laudry in the toilet. The only thing is they do not provide free internet access in room. adina is a great brand that has always provided a good guest experience. the room was comfortable and clean, with enough space to move about and a kitchen for guest use. there is a sofa and two tv’s, making it possible to even host a few friends in the suite. the location is very close to tegel airport, as it took us only 20 minutes by taxi to reach the airport. it is also near the central train station, though not as centrally located as berlin’s other adina, which is nearer to checkpoint charlie. also, the gym and sauna facilities in this adina were somewhat lacking in comparsion to others in which i’ve stayed. however, the adina is always a good place to stay, and this one was staffed by friendly personnel who helped provide a very good overall experience. We stayed 2 nights in the Studio Room, which included a bedroom, living room, kitchen, and bathroom. 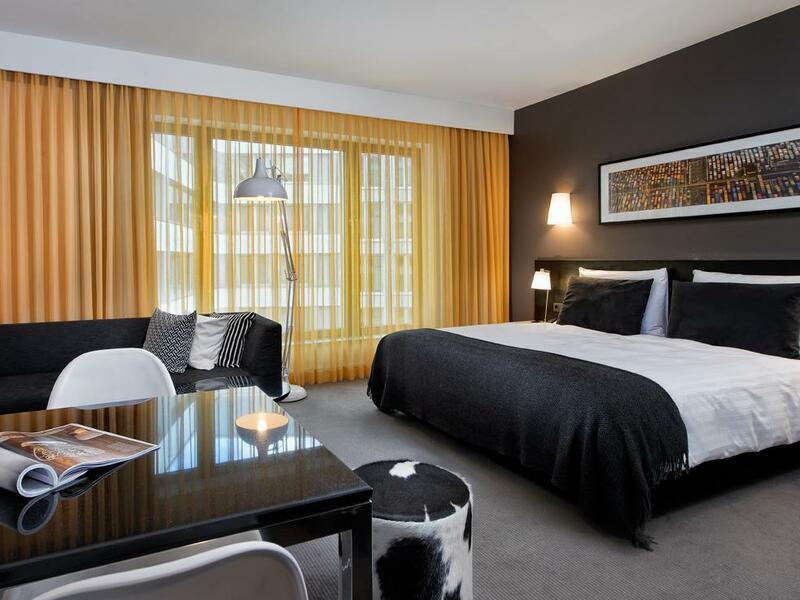 The staff was courteous and helpful and our very spacious room was kept immaculate theoughout our stay. The hotel is located 10 minutes walk from Berlin Hauptbahnhof, 2-5 minutes walk from various bus and train lines, and 5 minutes walk from a Lidl (grocery store). The free wifi is a bit slow and there is a limited selection of restaurants and cafes nearby, but it is easy enough to travel from here into the city. .Loved the hotel, the stuff were so nice and accommodating. The spa center was a nice addition to relax in the sauna, a bit further from the center than I would hope but easy to access with the Tram around the corner. The team is very friendly and very professional. The hotel is within walking distance to the main train station. 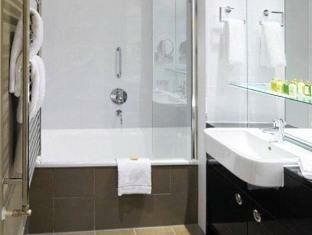 Hotel room is spacious and clean with full kitchen facilities. The place is actually quite nice and clean, and the rooms are very big, which is nice. However, I was there during a slightly more expensive period, so I did find the price to be slightly on the high side. (4/5 for value for money) I also gave 4/5 for location - while the hotel is very close to subways and bus stations, the selection of restaurants, etc nearby is not great. I also wish the hotel itself had a vending machine for basic things, because things close so early in Germany, and so past a certain hour it is almost impossible to find an open shop if you need something like toothpaste or just a late night snack (other than what's in the minibar). Finally, the two few things that were minor annoyances about the facilities - 1) the shower temperature was very weird, it would fluctuate between scalding hot and luke warm and was hard to get at the right temp. The water pressure was also on the low side, although acceptable. 2) I used the washer, but it was not cleaned, and it left these grey tissue like things all over my clothes. I'm sure it was not from my pockets. then, when I used the dryer, it emitted a slightly burnt smell into the room. I'm not sure if this was due to the dryer not venting correctly or something. 3) The cleaning staff came VERY early one of the days, like at 7am! Good thing I was already up, otherwise I would have been quite upset. Still, I found most of these to be minor things and I was still overall satisfied with my stay, even though it wasn't the best stay I've had in Berlin. Having an apartment rather than a bedroom alone was a great advantage. We had so much more space. The rooms were large and everything was extremely clean and well kept. The hotel is a short walk from the main train station and is on bus, S and U Bahn routes, so getting around was very easy. What a fantastic hotel. It has everything you need including comfortable beds, basic cooking facilities and a pool in case you have the energy to swim after walking around the city. Its only fault is that it's so nice and comfortable that you might not want to get out and see Berlin! 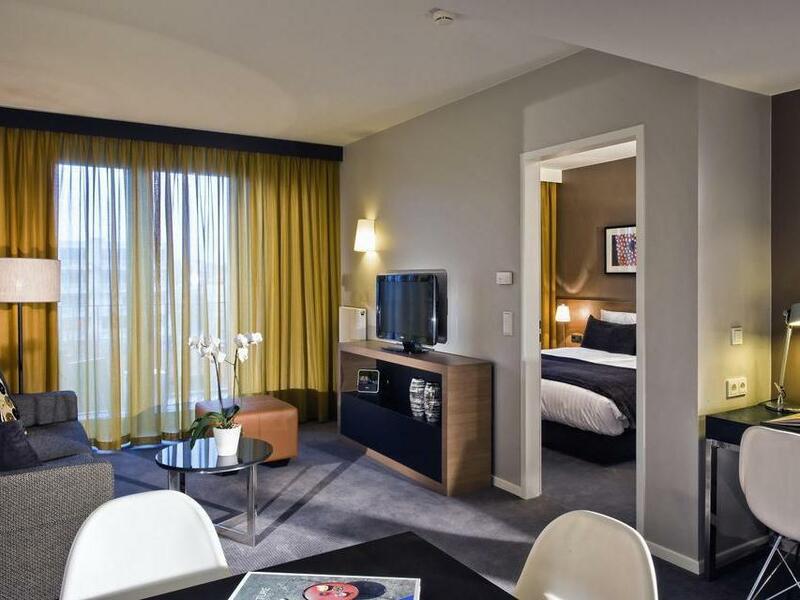 An excellent option for a short stay in Berlin. It is an ideal location for me and the staff are always very friendly and helpful. Its nice to enjoy a little more space in your room and on this occasion was given a 2 bedroom apartment with lovely lounge and balcony. It was really appreciated after 9 days of back to back travelling and being in small hotel rooms. I only rated 4/5 for value for money on this occasion because the rate was a lot higher than usual for a 1 bed apartment however the city was very full and most hotels were sold out or very expensive. The fact that I was given a much larger apartment was nice considering the unusually high rate for this stay. I will use this property again and on the back of my experiences here will try other Adina properties when my travels allow. While cooking my porridge one morning the fire alarm started in my room with a screeching with a highpitched very aggressive sound. I thought I was the one who had set it off. I left my room and joined dozens of people calmly going down the stairs. Three fire engines arrived within minutes. As I stll didn't know if I was to blame I asked at the reception and they said they weren't allowed to say! Apparently it hadn't been me. The location is really convenient to the train station; the apartment has a washer and a dryer which makes things easier for us to do our laundry; the staff are very helpful and professional! We love our stay there! It makes us feel like home... Amenities are at the top of standard. Hotel staff are great. Location is convenient. The lobby area is really beautiful. Just that the room doesn't come with free wifi, we had to use it in the lobby. Facilities, friendly helpful staff and good food. 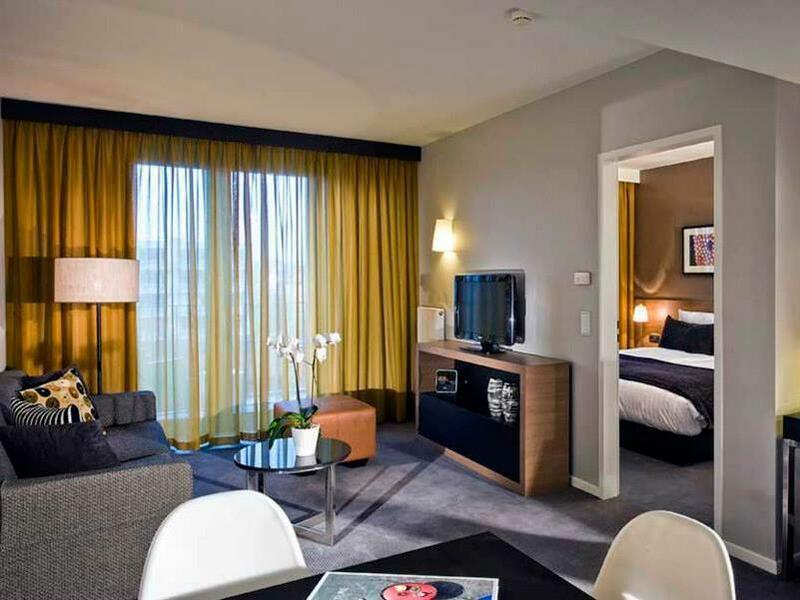 We really enjoyed our stay at the Adina Berlin Hauptbahnhof Hotel. Great facilities on site and our room had everything we could need. The restaurant was very good and we enjoyed breakfast and two evening meals there. The staff all spoke English and were very friendly. We liked the location too and easy walking distance to tourist sites.